Collaboration between Polar Expedition Cruise specialist - One Ocean Expeditions (OOE) - and acclaimed marine mammal biologists and scientists leads to significant information on Antarctic whale behaviour that can help to protect fragile polar ecosystems. "We are very proud to support leading-edge research, as well as offer the opportunity for OOE's guests and staff to meet and interact with acclaimed marine biologists and scientists in the intimate setting provided by our expedition cruise vessels. 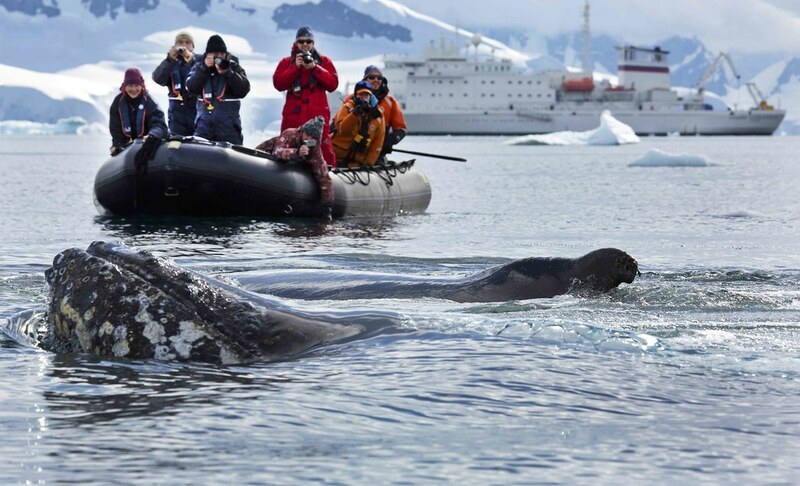 It's not everyday travellers can witness renowned scientists at work and experience such close encounters with Antarctic whales and wildlife," says Andrew Prossin, Managing Director at One Ocean Expeditions. "The 2017 Antarctic cruise season, particularly our Marine Mammals of Antarctica expedition cruise this March, was certainly one to remember!" Prossin added. The team of scientists attached non-invasive suction cup camera tags with 3D motion sensors, which fall off approximately 24 to 48 hours later. Upon retrieving the devices, the researchers were able to study the recordings showing the feeding behaviour of the humpback whales, including lunge feeding into the abundant tight swarms of krill found in the Antarctic Ocean at this time of the year. Not only did it show footage, but it also recorded their exact movements and the depths of each dive. "We have some wonderful data on different feeding strategies, ranging from rolling lunges near the surface and bubble net feeding to deep foraging dives lunging through dense patches of krill," says leading whale scientist Dr. Ari Friedlaender. "We have been able to show that whales spend a great deal of time during the days socialising and resting and then feeding largely throughout the evening and night time," Friedlaender added. 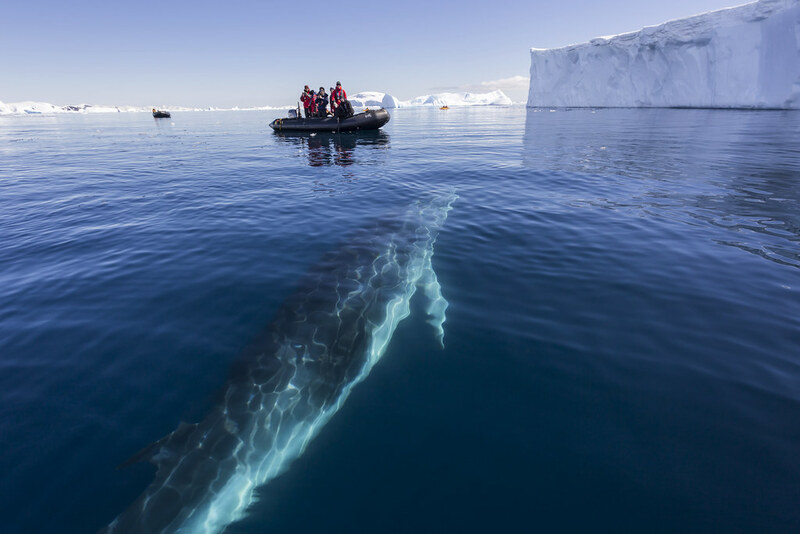 The data captured by the cameras will not only help scientists to understand the feeding patterns, social habits and the role played by whales in the Antarctic ecosystem, it will also help them to determine how any change in krill populations might affect these magnificent creatures. Through this understanding, the researchers will be in a position to establish measures to help protect the whales' environment. Meanwhile, longer-term LIMPET tags were attached to minke whales, essentially because these mammals are faster and more elusive than humpback whales. The tags will transmit data for approximately two to three months. "This work is part of a long-term ecological research study to better understand the divergent impacts of climate change on the ice-dependent minke whales and more open-water humpback whales in this part of the Antarctic," says Elanor Bell, Australian whale research scientist from the Australian Antarctic Division. One Ocean Expeditions is committed to supporting ongoing ethical science and outreach programs with opportunities available to accredited institutions on each voyage. A leader in polar expedition cruising, One Ocean Expeditions operates voyages to the Antarctic from end October through to March. On several of the cruises, guests have the opportunity to get to know the scientists and to be educated on leading-edge research initiatives - an important part of the One Ocean Expeditions cruise program, which differentiates the company in the growing competitive cruise market.